Sick of the excess waste that came with all the products he purchased, Timofey Yuriev created a green advertising campaign promoting the best sustainable packaging nature has to offer. The message is clear: “We don’t have to destroy the planet to have orange juice, cabbage salad, or a banana jam. The perfect packaging doesn’t pollute, kill or poison. Nature already created what we need. Just look around and you’ll understand.” Check out more ads ahead! Sick of the excess waste that came with all the products he purchased, Timofey Yuriev created a green advertising campaign promoting the best sustainable packaging nature has to offer. The message is clear: "We don't have to destroy the planet to have orange juice, cabbage salad, or a banana jam. 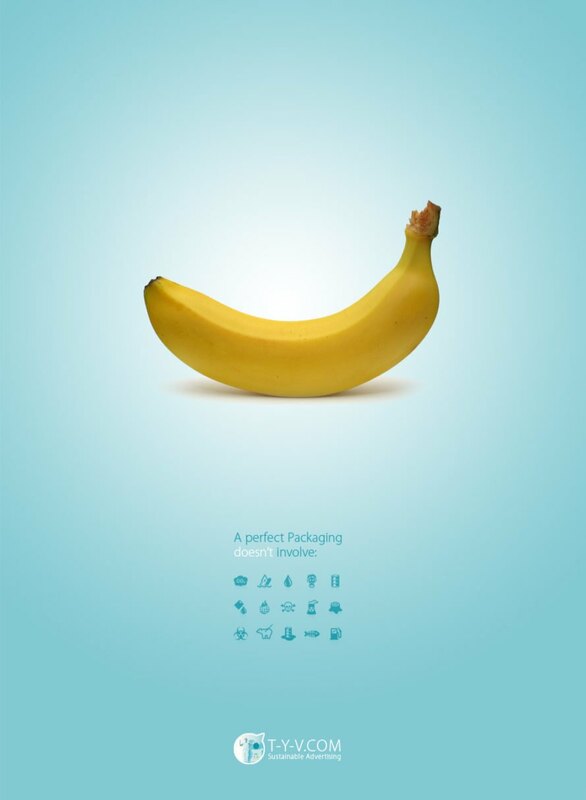 The perfect packaging doesn't pollute, kill or poison. Nature already created what we need. Just look around and you'll understand." Check out more ads ahead!